Detroit was the final stop on our epic Michigan road trip this summer. 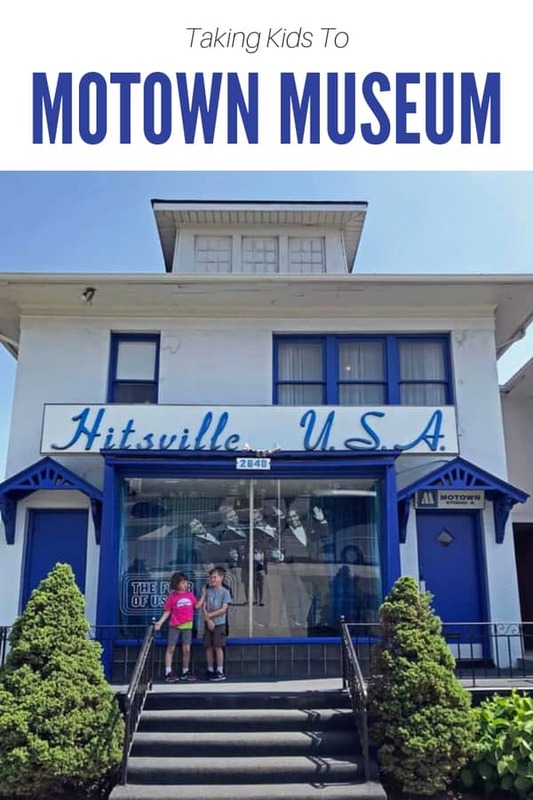 While most of the trip was dedicated to outdoor pursuits, Detroit was going to be our chance to explore museums like The Henry Ford and historic sites like the Motown Museum. So, the question was: Where do we stay in Detroit? Disclosure: Our stay was hosted by Visit Detroit. All thoughts, opinions and typos are my own. Detroit is HUGE. It’s more than 140 square miles in size, and I read one account stating you could fit Boston, Manhattan, and San Francisco inside the city limits. The places we wanted to visit were spread out, too. 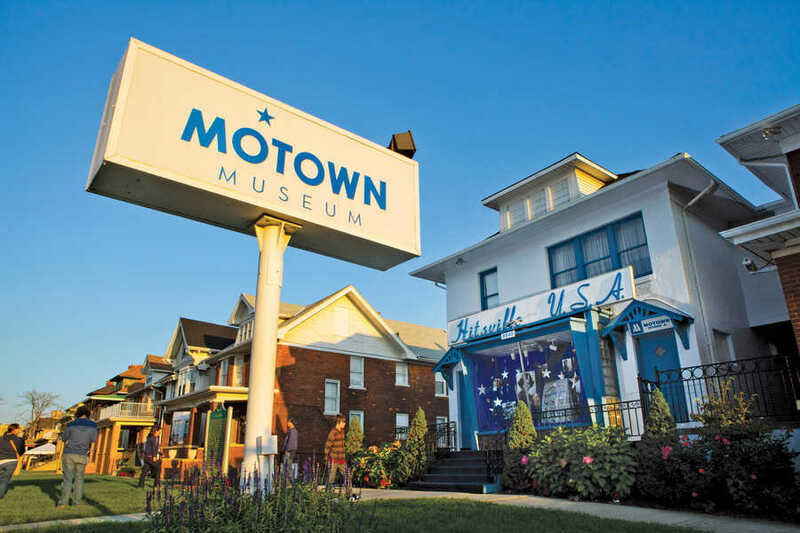 Motown Museum, Detroit Arts Institute and Michigan Science Center are downtown, while The Henry Ford and Greenfield Village are in Dearborn. 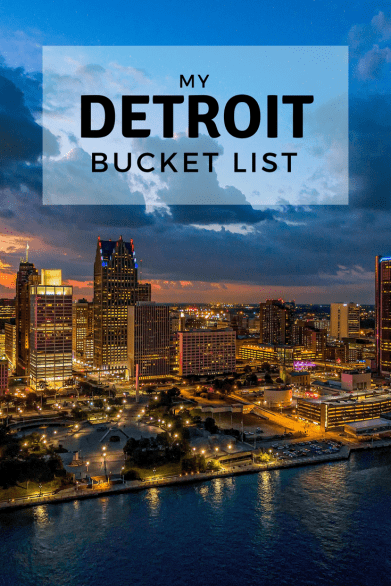 Add to that the other sites I had hoped to fit in (check out my Detroit Bucket List for all of them), and I was in a conundrum. 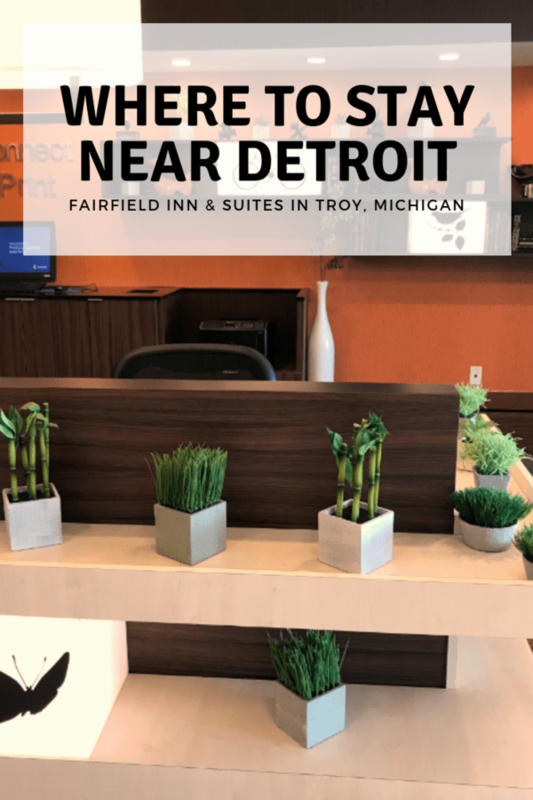 We ended up staying at the Fairfield Inn & Suites located in Troy, a suburb of Detroit. It’s much closer to the Detroit Zoo, which we were considering visiting, than downtown hotels. It was not super close to The Henry Ford or the downtown attractions. If you hate interstates, you’re going to have a rough go trying to get to attractions. 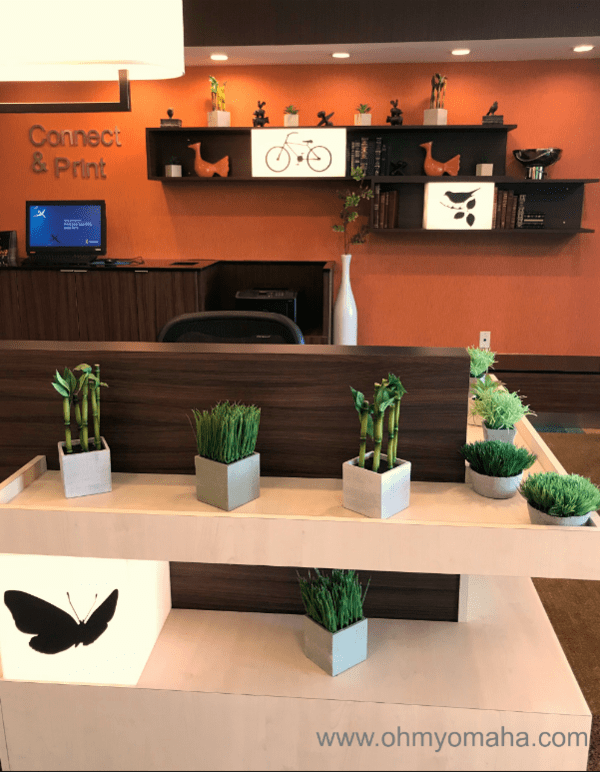 The chic lobby of the Fairfield Inn & Suites in Troy, Michigan, located just north of Detroit. And side note, unfortunately, is that it’s pretty convenient to Beaumont Hospital in Troy. Long story, but we had a member of our admitted into the hospital while we were there. Fairfield Inn & Suites is a familiar Marriott chain for my family. We appreciate the complimentary hot breakfast each morning and pool at each hotel we stay in. The complimentary breakfast at Fairfield Inn & Suites is always a popular perk. 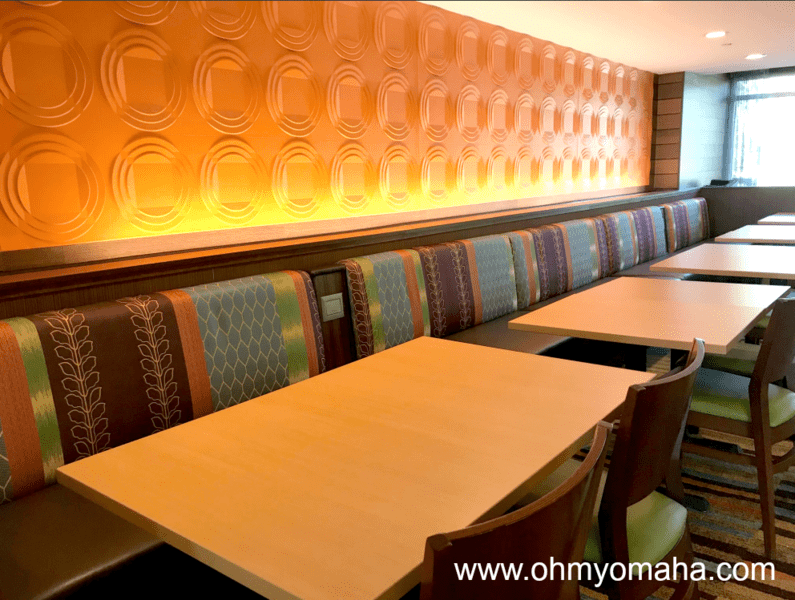 The location in Troy, Michigan, had plenty of seating. This particular location had all the amenities you’d expect at a Fairfield, from the modern lobby, comfortable beds, and large bathrooms. 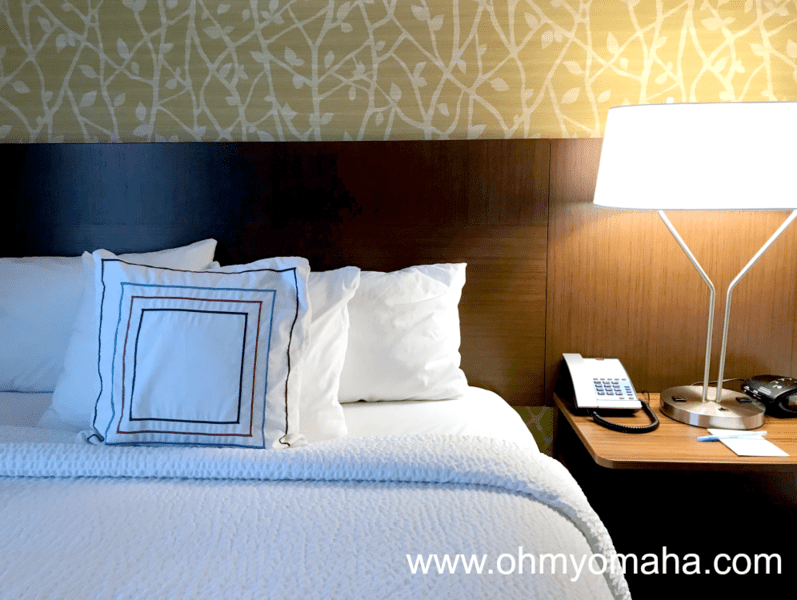 The staff was incredibly helpful, especially when I was on a hunt for a cell phone charger one night. Our room had two queen beds, which is a good size for a family of four with small kids. The location of this hotel wasn’t ideal for our needs, though, like I wrote earlier, it was at least close to the hospital (not something a vacationing family really wants to ever visit). It was near the interstate, which is helpful when navigating this big city. My complaints for the hotel were not for the hotel itself but it’s location. I had limited options for non-chain restaurants, and nor as it easy to find interesting, locally-owned shops. But if you’re a Target fan or need to run to a mall, those are both nearby. The Henry Ford is a large museum outside of Detroit full of artifacts and exhibits about America’s history and innovation. It’s a huge, three-building complex. I was a tad overwhelmed when I planned a visit during my family’s great Michigan road trip, to be honest. To save you a little worry, here are some things to know before your visit. Disclosure: I received complimentary admission to The Henry Ford as part of a hosted visit through Visit Detroit. All thoughts, opinions and typos are my own. The Henry Ford is a complex of three spaces: The Henry Ford Museum of American Innovation (which I’ll refer to as The Henry Ford from now on), Greenfield Village, and Ford Rouge Factory Tour. We made it to two of the three places on our one-day visit. And that one-day visit? That could’ve been (should’ve been) two days. A mill at Greenfield Village, an outdoor living history space with seven areas to explore. It’s part of The Henry Ford complex. History is the focus at The Henry Ford, but not in such a narrowly defined experience as “history museum.” This places feels alive. I’ve never been to anything quite like The Henry Ford. It’s not just cars and transportation. Innovation, mathematics, and a fun display on pop culture through generations are all a part of the museum. The Henry Ford had artifacts from various eras in American history. The blue railcar behind the signs is a restaurant. 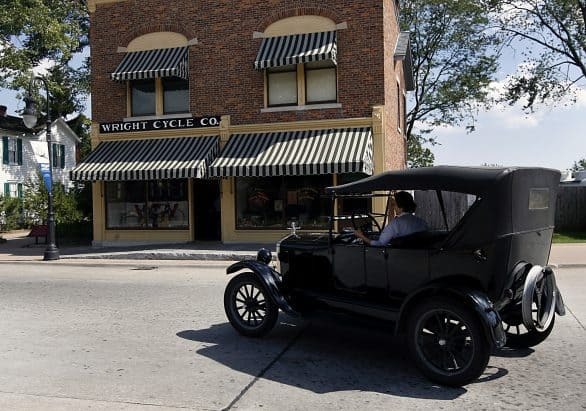 Greenfield Village is an epic living history experience with actors, landmark buildings, and cool experiences like riding in a Model T.
The factory is the lone place we missed on this visit. There just wasn’t enough time. It’s going to depend on your family. We split our visit between Greenfield Village and The Henry Ford. Our visit was in the summer, so we chose to go to Greenfield Village the first thing in the morning. We peeked in a jewelry store at Greenfield Village. We last until lunch time before the heat was too much. We had spent about three hours at Greenfield Village, which was not adequate to see everything. 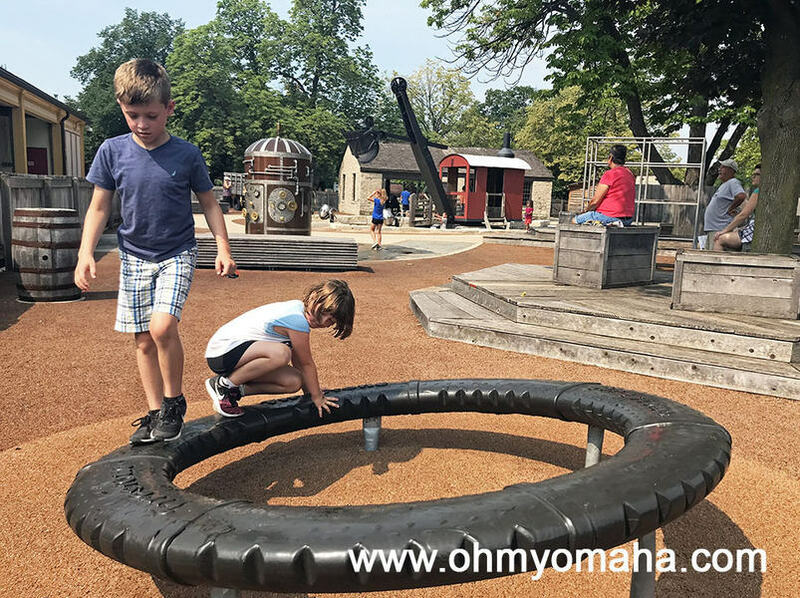 It did allow a decent amount of time for playing at the playground, so factor that into your planning if you have young kids. There’s a large exhibit about flight at The Henry Ford. There’s an area to make your own paper airplane and then test them out. The Henry Ford was where we spent the bulk of our day, and I feel like we got a good look at everything that interested us in the hours we wandered around there. What will kids like at The Henry Ford? This is totally going to be just my opinion. What’s interests your kids could be quite different from mine. Greenfield Village is divided into seven districts. My favorite was Main Street, with its shops and lawn games. 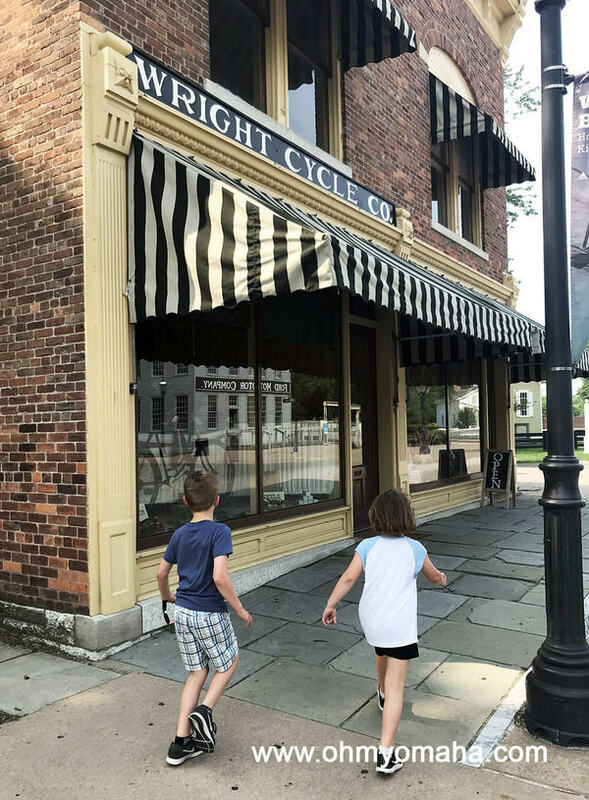 Don’t skip the Wright Cycle Shop (the actual place where the Wright Brothers dreamt up their flying machines), the playground, and watching artisans in action (including glass-blowing, weaving, and pottery). The Greenfield Village Playground isn’t your typical playground. The kids loved it. There’s also working farms, a steam locomotive, and a ton more historic buildings (obviously). We missed Thomas Edison’s lab and I imagine that was a mistake. I was hot and wanted out of the summer sun, please forgive me. The Henry Ford has so many stellar artifacts that bring American history to life. We got to sit on the same bus that Rosa Parks protested on, and pose in a Model T. If you love cars, trains, agriculture, history, or design, this is your kind of place. In “Made In America: Manufacturing,” the kids and I joined an assembly line to make cars. It was a fun way to learn about manufacturing for the kids. Being at the museum with kids, though, I’d have to say the more hands-on an exhibit was, the more they liked it. 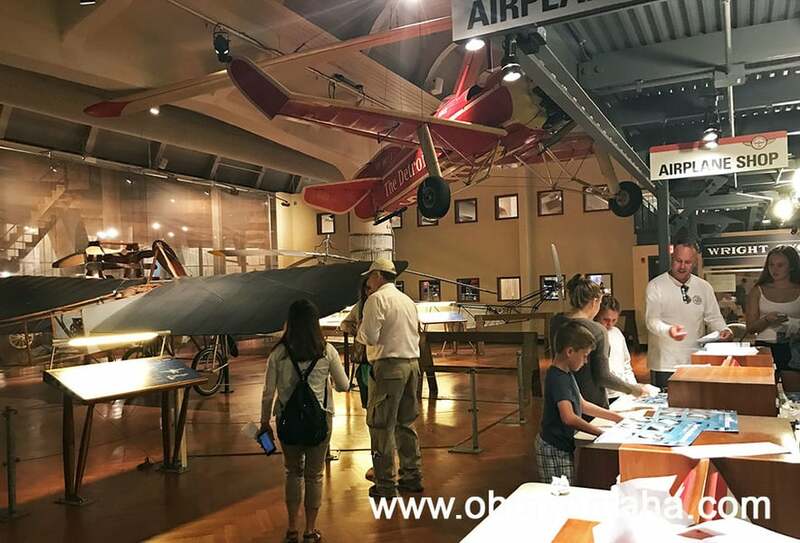 The “Heroes In The Sky” exhibit had a space for kids to make model airplanes and test them, for instance. “Made In America: Manufacturing” was another good one – we participated in an assembly line to build toy model Ts. And if you have a train fanatic, there is a miniature railroad to watch. Resting in the women’s suffrage exhibit jail. – Bring a stroller or wagon if you have young kids. The complex is huge. – You park at one place and can get to the museum and Greenfield Village by foot. – You can bring a small amount of food and drinks with you. You’ll definitely want water bottles. There are restaurant options in the complex. Some restaurants have themes to them, which is fun, but I was a little underwhelmed with our experience at the 1940s diner called Lamy’s Diner. 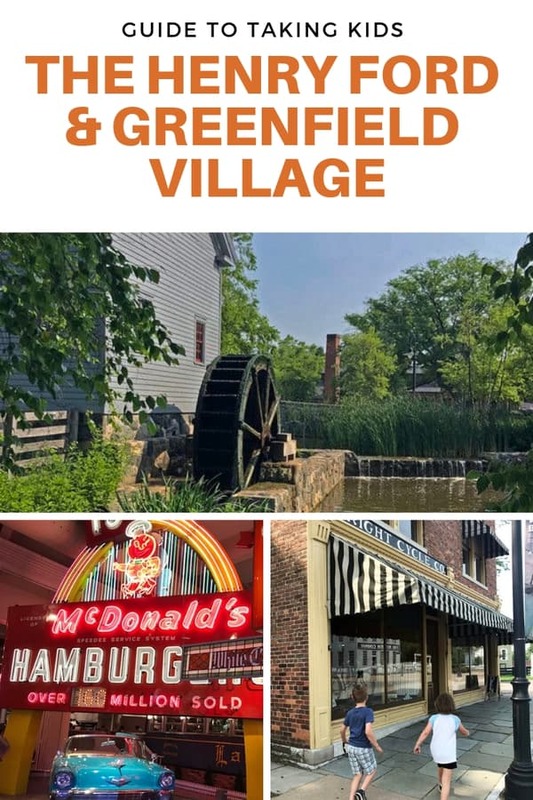 – The frozen custard at Greenfield Village is to die for. – There’s a playground at Greenfield Village by the carousel. It’s a lot of fun for them, though a little word of warning, they can get a little wet there. – There aren’t a whole lot of buildings with air conditioning at Greenfield Village (you’ve got to love authentic history, right?). Cool off in the gift shop. – Plan on spending a little extra. My kids loved riding the train, for instance, but it’s extra, as is the Model T rides. – It helps to know when demonstrations begin in Greenfield Village. And then, if you’re like me, disregard those times and just try to keep up with your kids. Greenfield Village is a seasonal attraction, so know that it’s closed from Jan. 1 through April 14. Where: 20900 Oakwood Blvd., Dearborn, Mich.
Find out about special events here. In the end, an unexpected family emergency meant some of our items got left off the itinerary and the ones we did manage to visit were clouded with tension. But, read on, friends, because we did see some amazing things in Detroit! If you are short on time and only got to visit one or two places, I have my favorites for you. 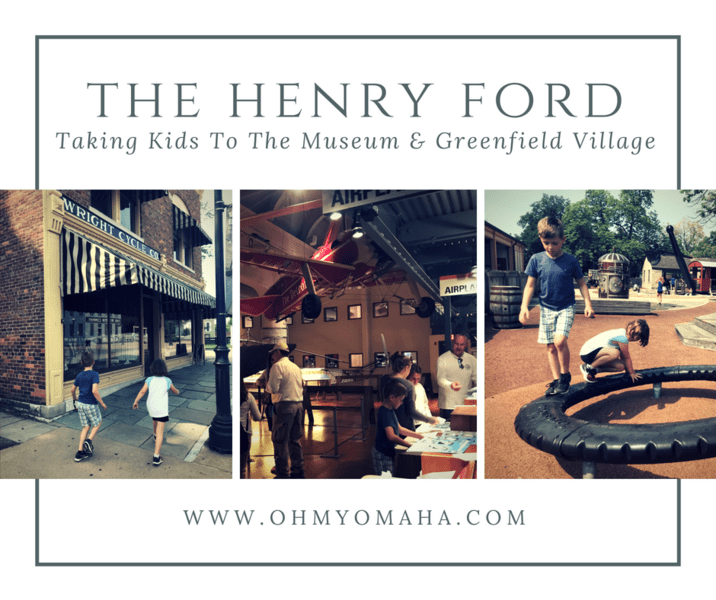 The favorite museum of the kids was The Henry Ford, located in Dearfield, Mich. 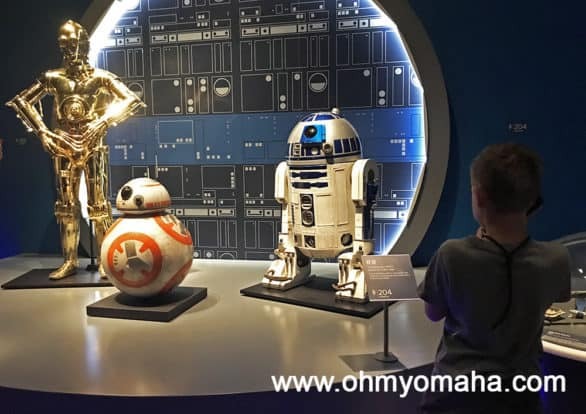 This museum is BIG, and full of so much history, and it’s all done in such an engaging way that both kids and adults just love. People told this was a must-visit and I agree. 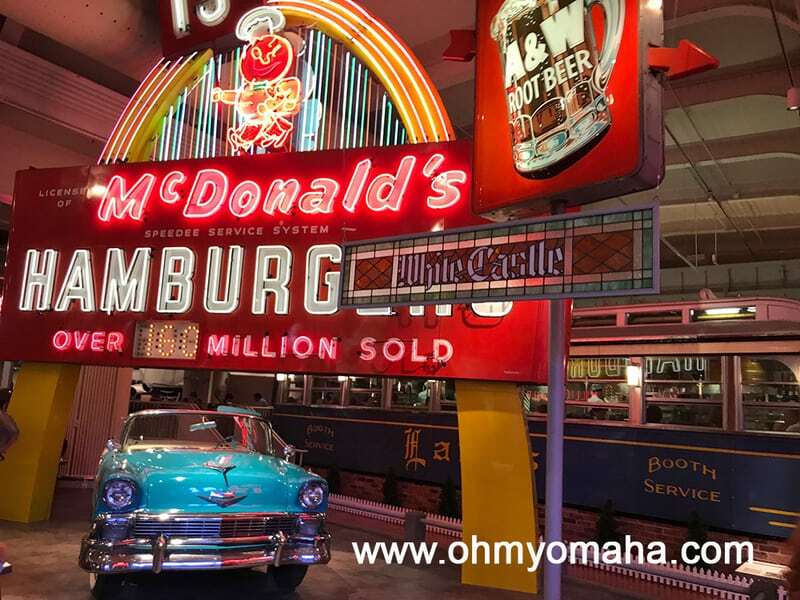 We dined at the restaurant Lamy’s Diner located in the lunch car behind these iconic neon signs at The Henry Ford. While there are historic items that you’ve got to see, like the Abraham Lincoln chair and Rosa Parks bus, the more appealing things for kids were hands-on exhibits, like the one dedicated to flight, the chance to sit in old cars and farm machinery, and the opportunity to work on an assembly line to build a (toy) Model T.
Who let my daughter behind the wheel of the 1917 Overland Car? There several photo opportunities throughout The Henry Ford, and we found them all. While you’re in the area anyway, I highly recommend including a visit to Greenfield Village next door. Each place could be a day in itself to visit, but we visited both in one day. It was exhausting, but manageable. It was also ridiculous hot the day we were there, so we only spent a couple hours in the morning at the village. I wish we could’ve lasted longer, but summer won that battle. It’s quite different, in that it’s like a living history museum. 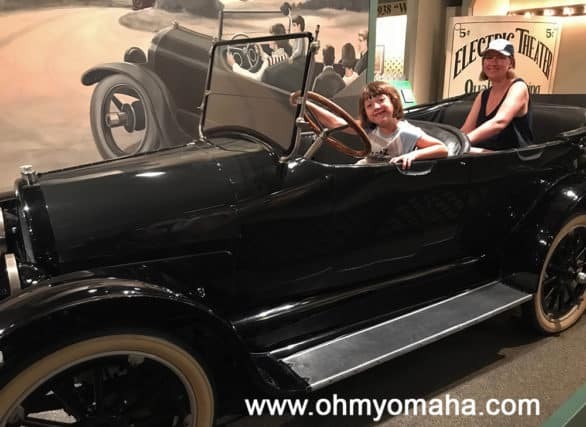 There’s so much to see and do there, from re-enactments to riding in a real Model T. You can walk into the Wright Brother’s bike shop, watch farm hands work at a Victorian era farm… and my kids’ favorite, eat delicious custard. Don’t skip the playground, too. It’s open seasonally, mid-April through October, and there’s a water play area to cool off. My kids could’ve spent an hour climbing, crawling, and digging at the village playground at Greenfield Village. It’s got an industrial feel to it. The other must-visit museum is in Detroit itself: Detroit Institute of Arts. 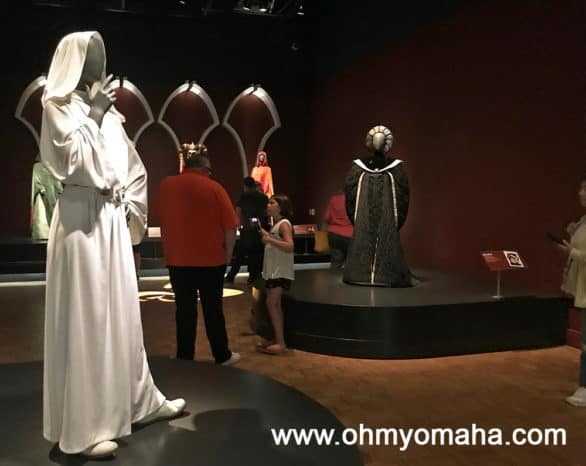 This would probably be more of my favorite than the kids’, however, they definitely loved the special exhibit that there this summer, “Star Wars™ and the Power of Costume.” The exhibit is there through Sept. 30, 2018. It’s an additional fee to see the exhibit, and it does sell out so it’s recommended that you purchase tickets online in advance. 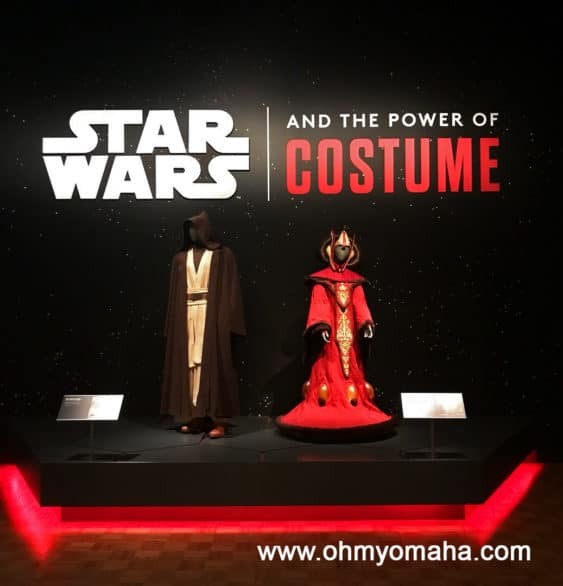 The “Star Wars and the Power of Costume” exhibit is at Detroit Institute of Arts through Sept. 30, 2018. 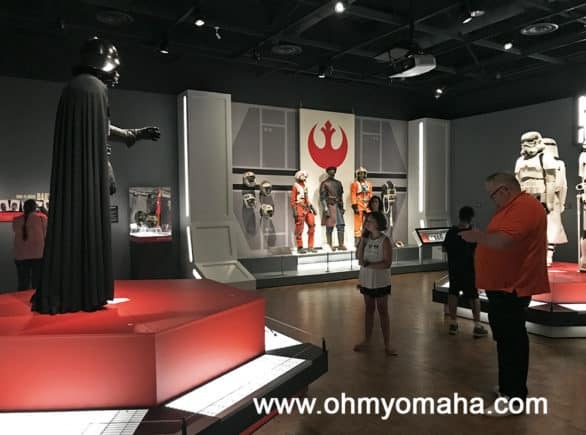 So that exhibit is impressive and has a great kid’s audio tour that engaged my family. 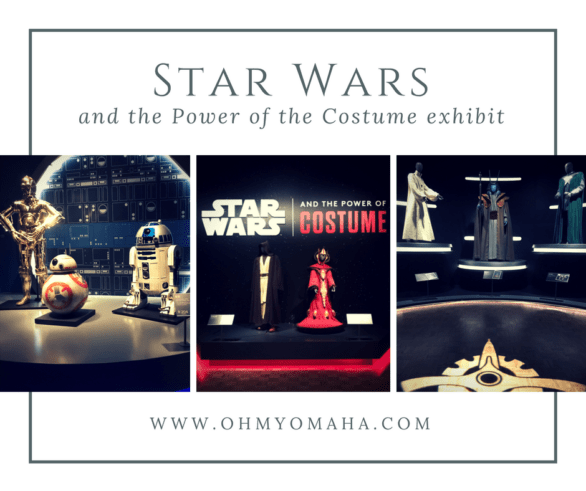 But, there’s a lot more to see at the museum (and you should allow more than two hours to see its collection of 6,000+ artworks on display, like I did). 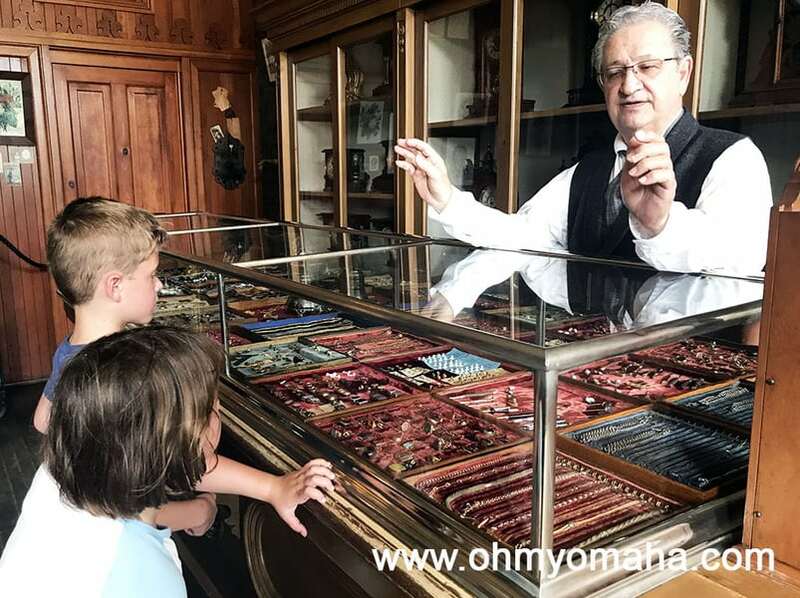 Highlights include the Diego Rivera’s “Detroit Industry” frescoes, the knights armor, and this really fascinating projection called “Art of Dining” of a fancy French meal from the 18th century. And too many priceless paintings I’m embarrassed to say we only paused to glimpse at. Detroit, more than any other city on our trip, had an abundance of museums and cultural opportunities to explore. It was hard to choose where we should go. One of my kids’ other favorite stops was the Michigan Science Center. At this point of the trip, I was pretty wiped out by stress, so I wish I could say I enjoyed it more. Don’t let my stress stray you from visiting with your kids, though. There was a ton to see and do at the museum, and many of it catered to the city’s history in the car of industry. Playing with the assembly line at Michigan Science Center in Detroit. 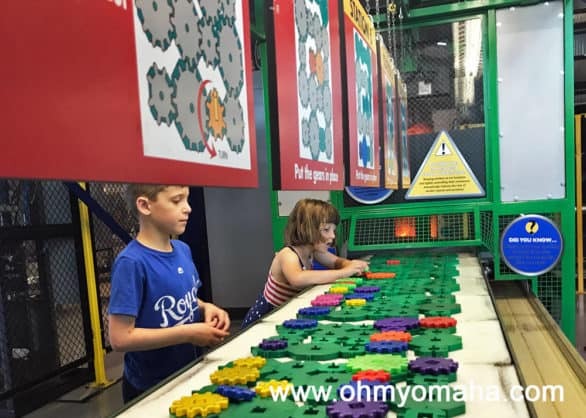 We were able to make use of the reciprocal membership perks of our Omaha Children’s Museum membership in order to visit the Michigan Science Center for free. Read more about how that program works here. 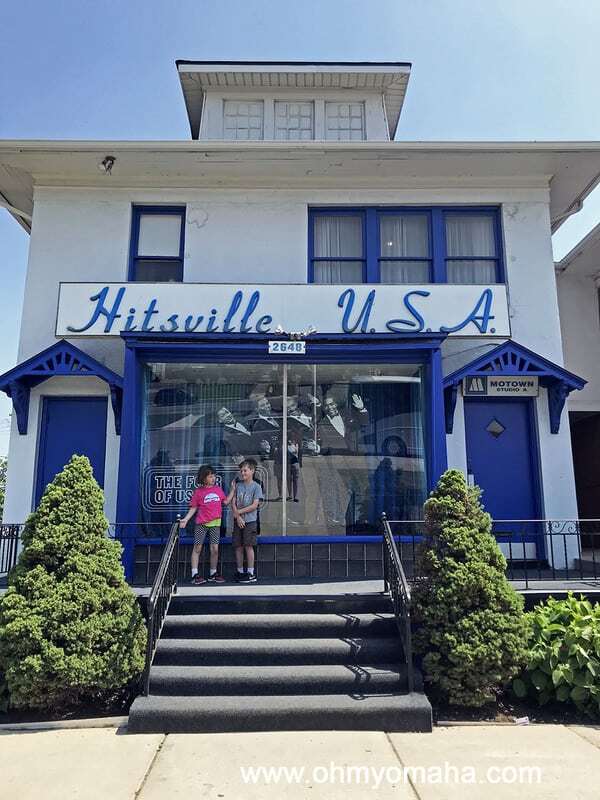 Since the city is the home of Motown music, I thought it was important to go to where it all started: Hitsville U.S.A. 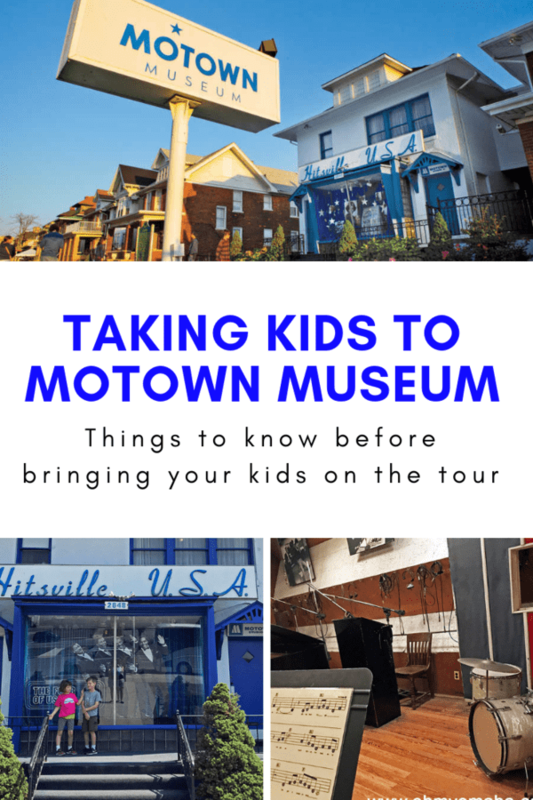 I had big hopes for visiting Motown Museum, but unfortunately, it just wasn’t the best fit for my kids, who at age 6 and 8 just weren’t quite ready for an hour-long guided tour. They typically do well at museums where they can go at their own pace. I would recommend this museum for families with older children. Took the Motown Museum tour and got the T-shirt to prove it. Me? I thought it was great and enjoyed learning more of the history behind the stars. 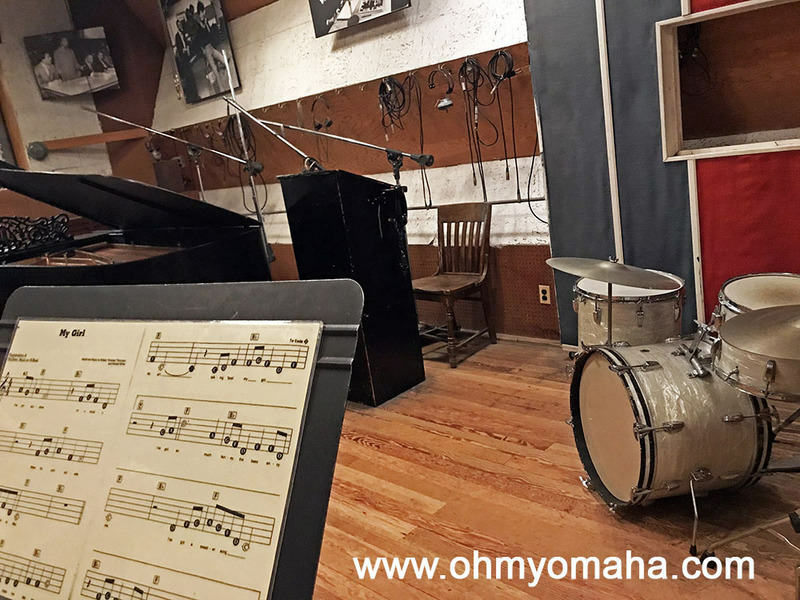 The highlight was standing in the studio where so much magic was recorded. It was like hallowed ground. Know that the tour groups are kept small and do sell out, so it’s recommended to buy tickets online well in advance of your visit. 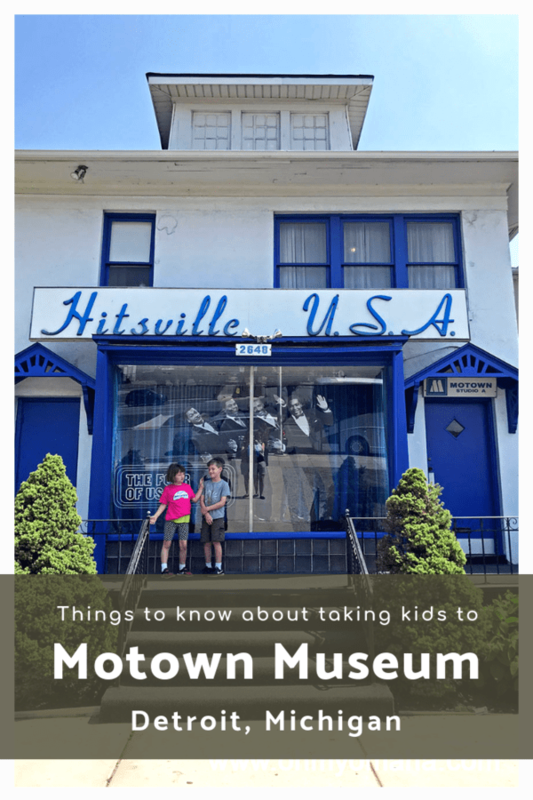 Photography is not allowed throughout the Motown Museum…except for a couple minutes inside the recording studio. Our tour group sang “My Girl” at the conclusion of the tour. 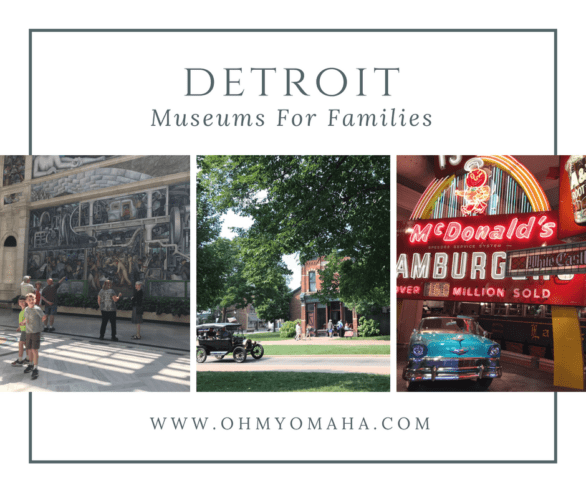 Detroit is so much more than those four museums, and so I recommend you check out my Detroit Bucket List. I was going to do a lot on that list while on this trip, but as I mentioned earlier, we had a family emergency (involving an extended stay in a hospital). As a result, all the extras I was going to do, like visiting parks and exploring downtown and eating at the classic restaurants…well, I didn’t make it to them as I had been planning. Kresge Court was a nice place to have a light lunch at the Detroit Institute of Arts. Of the unique dining experiences we have, I can point you toward two places. 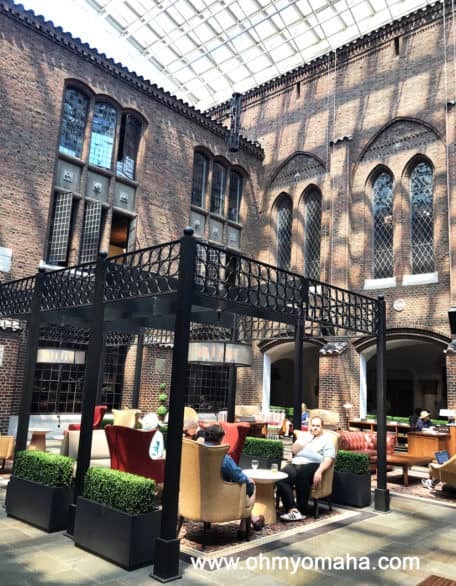 First, if you’re at the Detroit Institute of Arts and hungry, try Kresge Court for a beautiful setting for lunch. They serve salads, sandwiches and desserts, like huge cookies kids cannot resist. There wasn’t a kid’s menu. 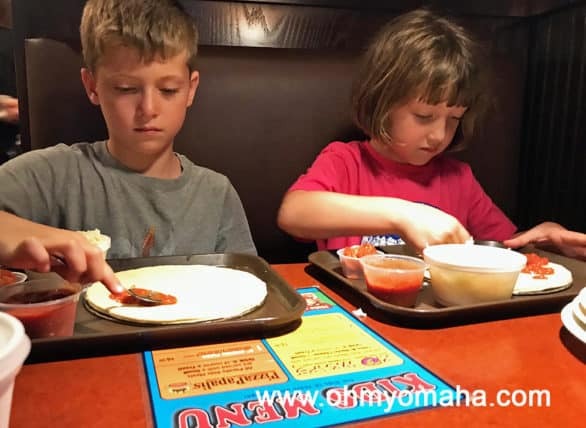 The kids made their own pizzas at the local pizza chain, PizzaPalis. The other place my kids liked was actually a local chain restaurant near our hotel in Troy, Mich. Since there isn’t one in Omaha, I feel fine recommending it. It’s called PizzaPapalis, and the draw here is that kids can build their own pizza at the table and they’ll bake it up for them. The comfy bed at the Fairfield Inn & Suites in Troy, Mich.
As for hotel recommendations, we stayed at the Fairfield Inn & Suites By Marriott in Troy, Mich. 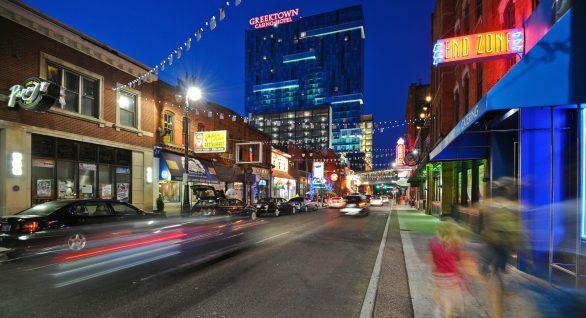 Troy isn’t the most centrally-located part of Detroit, and as such, I can’t really tell you that it’s the best one to book for your trip to Detroit. However, it was pretty near my husband’s hospital. And, it was near a mall, a Target, and an abundance of familiar chain restaurants, which is appealing to some. If we return, I’ll aim for staying closer to downtown Detroit (and not have any family member end up in the hospital). The more I read about Detroit, the more I realize a weekend isn’t long enough to see everything I’d like to see. Metro Detroit is huge! It spans 1,967.1 square miles. 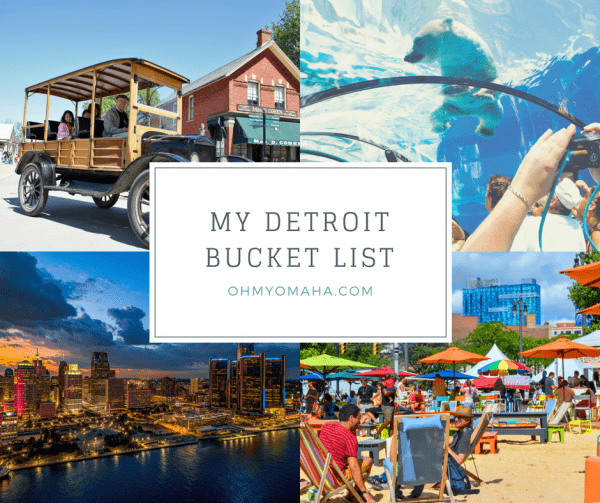 I’ve got a big Detroit bucket list of things to do, places to see, and a lot of food to eat. Why? My family will be there for three days this summer at the end of a long Michigan road trip (I’ve got a BIG bucket list for Michigan, too). Got tips? 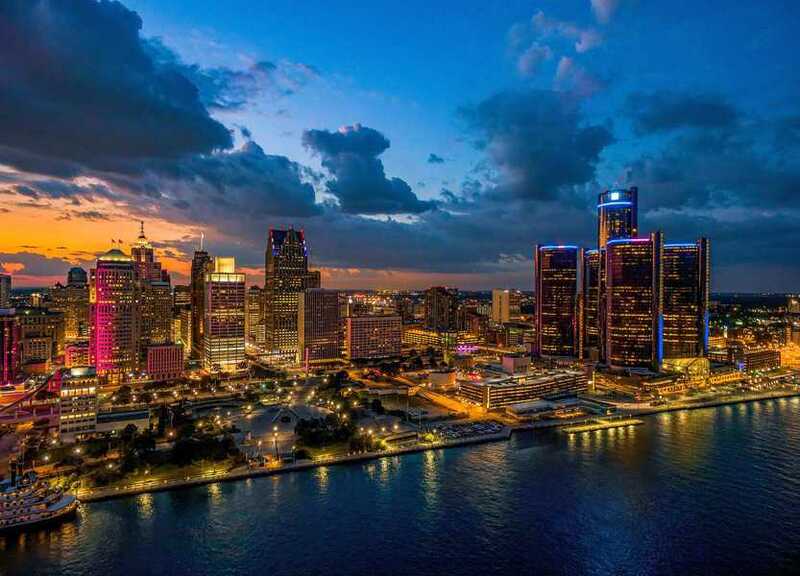 Please share your recommendations of what to do and see in Detroit in a comment! Eat all the food – There are so many restaurants I want to go to in Detroit! I’m guessing we ought to try the city’s famous square pizza. Samantha Brown shared two of the original places to find it, so I guess I should go with the oldest, Buddy’s. And then there’s the Coney Dogs, which turns out to be a Detroit thing. There’s simply unique Traffic Jam & Snug, where everything is made in-house, and it happens to be Michigan’s first brew pub. For burgers, I feel like I should go to Motz’s Hamburgers, one of the country’s oldest continuously-operated family-owned burger joints. It’s been around since 1929, so they must be doing something right. I am wondering where we should eat in Greektown – should we get the saganaki at Pegasus Taverna or Santorini Estiatorio. And while in Greektown, I want to get a treat from Astoria Pastry Shop. Eastern Market – Keeping with the food theme, there’s Eastern Market. 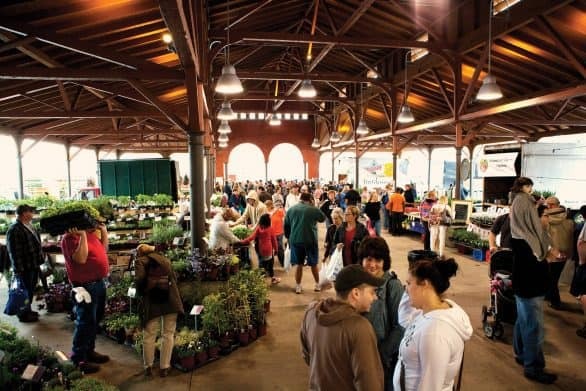 It’s a year-round market for food and Michigan-made products. I’ve read recommendations for Germack Coffee Roasting Coffee, and it is in Eastern Market. I also want to try a Lemon Buttah Pie sold by Lush Yummies Pie Co., also sold at Eastern Market. See a game – My family is a soccer family, so I wish I could say our visit times out to see Detroit FC play. However, the timing doesn’t work. There are plenty of other pro teams, though, to add to the list: Detroit Lions, Tigers and Red Wings come to mind. 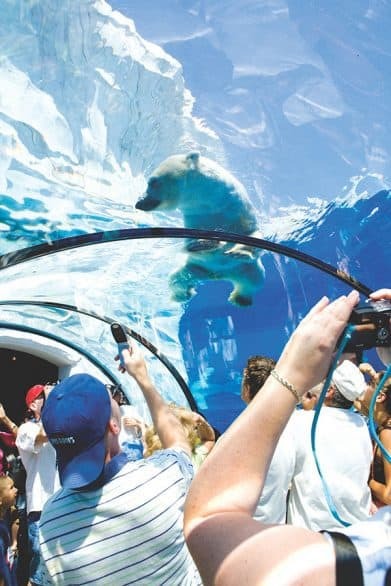 Walk under polar bears – The Detroit Zoo has a 70-foot-long Polar Passage, where you can walk through a clear tunnel that gives you a wide view of the zoo’s polar bear exhibit. The zoo has a special exhibit with 4 acres of animatronic prehistoric creatures called “Dinosauria,” which will be open from May 25 through Sept. 3. 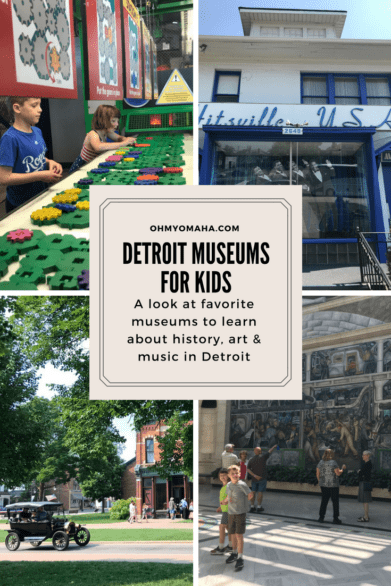 Go to a festival – There are a ton of festivals in Detroit that I’d love to go to none more than Detroit Jazz Festival, the world’s largest free jazz festival. It’s held Labor Day weekend. Another one that sounds like fun is the Stars and Stripes Festival from June 28-July 1. It has music and monster truck rides. Enjoy the music – I’ve been playing Jackson 5 and Smokey Robinson for my kids in anticipation of this summer. Detroit is home to the Motown Museum, AKA Hitsville USA. It will have a major renovation in 2019, so check to see if any part is closed before visiting. 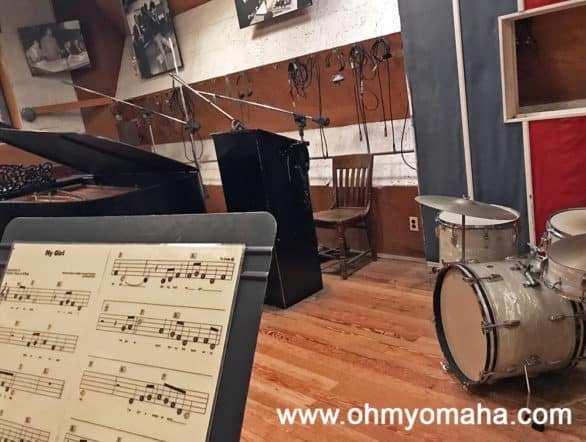 Being a family that loves music, Third Man Records is a store for us, complete with a stage, record booth and a viewing window of its vinyl pressing plant. Plus it’s got a Jack White connection. When it’s just me and Mr. Wonderful traveling, concerts are usually a must for a trip. One venue in Detroit, Cliff Bell’s, sounds great. It’s a restored art-deco jazz club. 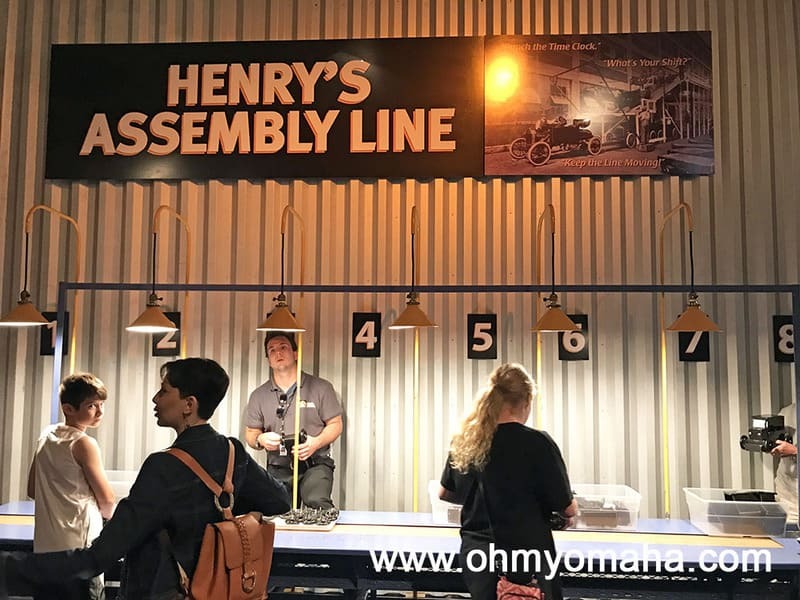 Dive into automobile history – Initially, my plan was to “visit The Henry Ford” because I’d heard a lot about it from other Midwest travel bloggers. Guess what? There’s more than one place. 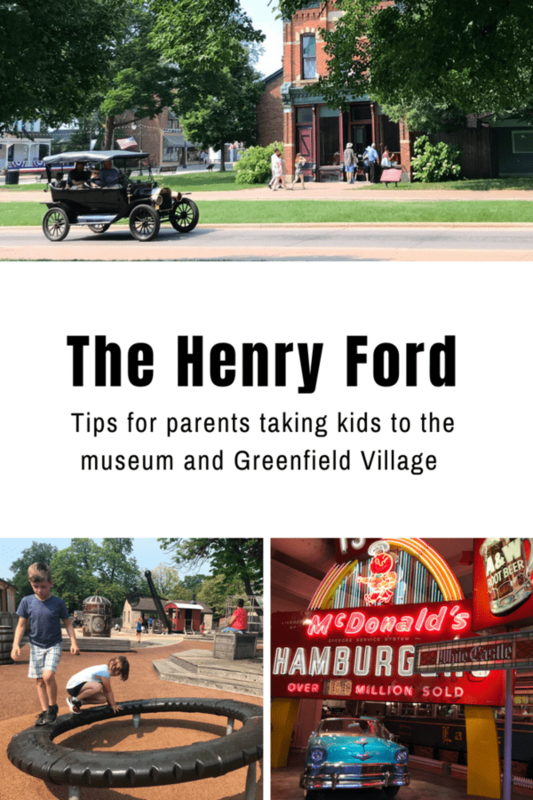 So, if I had unlimited time, I’d visit all three attractions: Henry Ford Museum of American Innovation™, Greenfield Village and the Ford Rouge Factory Tour™. But, top on my list would be to visit Greenfield Village. 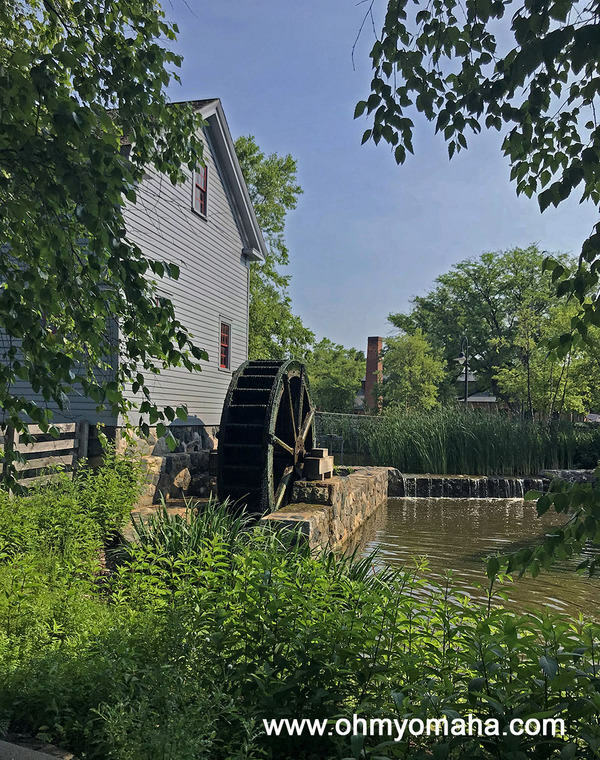 This 1929 historic landmark is an open-air museum that immerses visitors in 300 years of America life (think living history), and includes extras like riding in a Model T, and on Saturdays and Sundays in the summer, there’s an old-fashioned baseball game. We could time our visit to Greenfield Village to be during Salute to America, which runs June 30, July 1 and 3-4. It’s music, fireworks and good food. 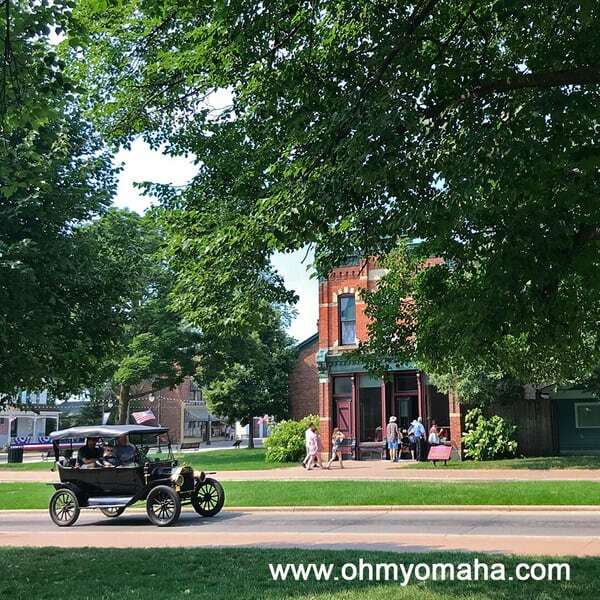 Tea time – On the topic of Greenfield Village, Wading in Big Shoes tipped me off to some great experiences at Greenfield Village and I want to do them all. Of course, I can’t. 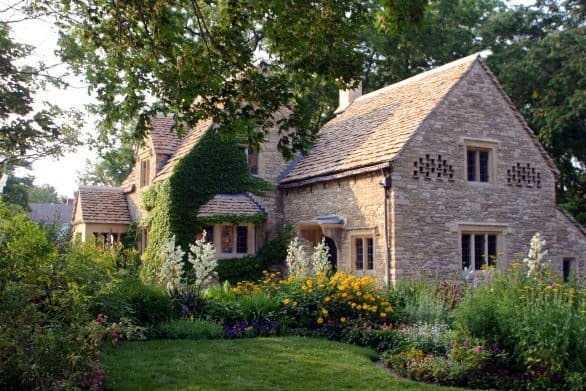 But, the one that caught my attention out of all of them is Tea at Cotswold Cottage. I think my daughter and I would love it! . From the sound of things, it’s an American take on the English tradition, which I’m fine with. Second only to tea (and pastries), is the chance to make my own brass candlestick or glass flower at Liberty Craftworks Historic District. My kids are old enough to make a candlestick (must be 6+), but not old enough to do the glass workshop (14+). Both are extras on top of admission. Fowling – Not a typo, my friends. Somewhere in Detroit, there is a warehouse with fowling courts (pronounced foe-ling). It’s like bowling but with a football. I’d be terrible at it. Go indoors for the outdoors – I’m planning a big road trip around Michigan to explore the great outdoors extensively, but, in case we don’t get our fill of outdoor adventures, I’ve got the Outdoor Adventure Center on my radar. Kids can walk behind a waterfall, pretend to ride a snowmobile, and try out archery. 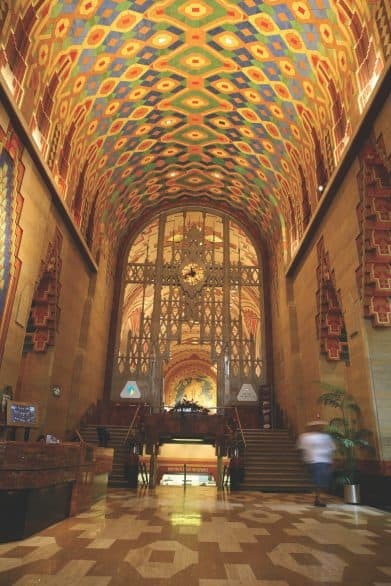 Guardian Building – Of all the gorgeous buildings in Detroit, the Guardian Building seems to have more than its fair share of mentions and pictures, and it’s on architectural tours like this one. I need to see this thing in real life. While we’re in the area, we can snap a picture with the Spirit of Detroit. Ride the People Mover – It’s not just a way to get from Point A to Point B. My kids live for rides, and riding an elevated train would probably entertain them to no end. The People Mover has been moving people around downtown Detroit for decades. See the isle – There’s something lovely and inviting about Belle Isle State Park. I’d love to explore it with my family, visiting the nation’s oldest aquarium, stroll the grounds, and just enjoy a little escape in the big city. 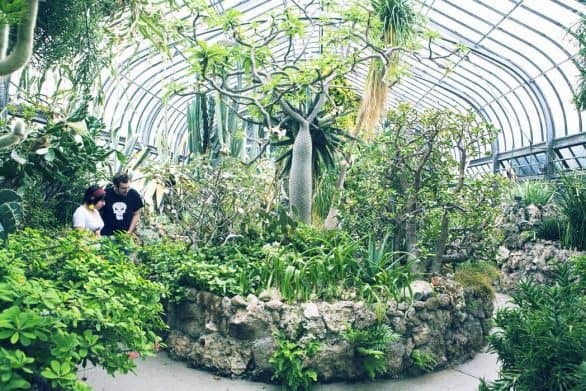 There’s also the 114-year-old Anna Scripps Whicomb Conservatory and a little zoo (FREE admission) to explore. 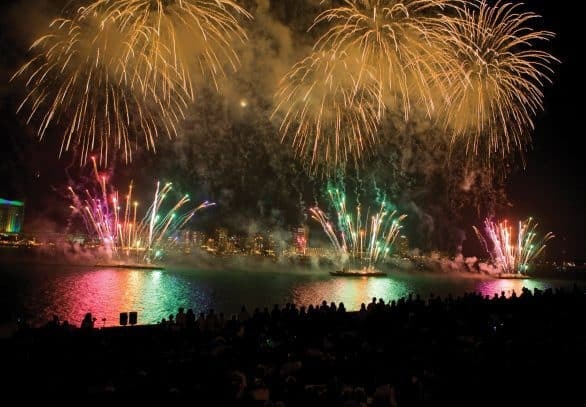 Fireworks shows – There are lots of fireworks displays held from June 22 through July 6, including one of the state’s largest fireworks displays, held during Rochester Festival of the Hills. This year, those fireworks are on June 27. Plus, select Detroit Tigers games on Friday nights end with fireworks. 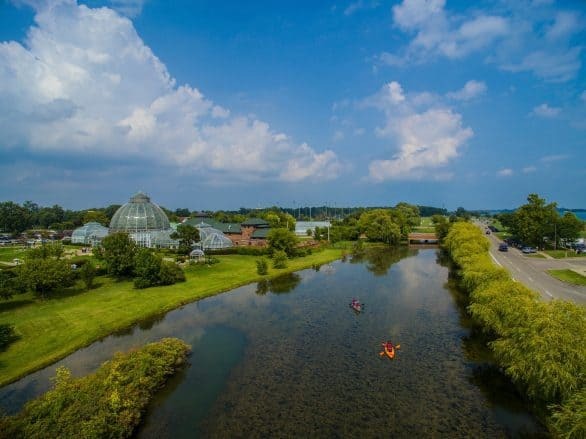 See a different side of Detroit – There are kayak tours taking beginner and experienced paddlers through canals and to islands. For a more leisurely water experience, there are also sightseeing boat tours. 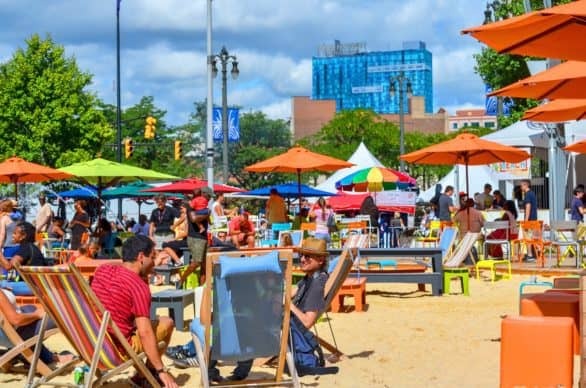 Build a sand castle – Part of Campus Martius Park in downtown Detroit becomes a giant urban sandbox in the summer. About 400,000 pounds of sand is dumped there each summer. 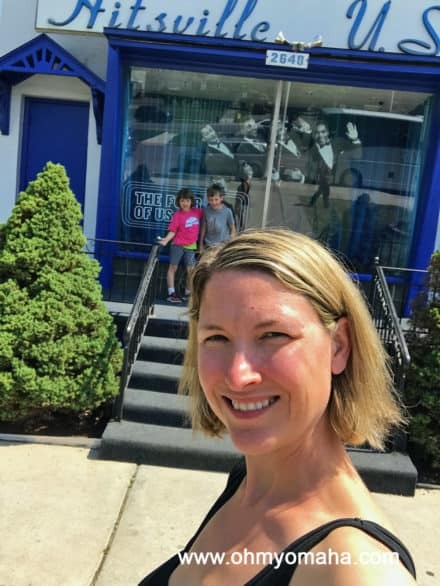 Visit Detroit Museums – I’m a sucker for science centers, so the Michigan Science Center is on my radar (especially since we get in free with our Omaha Children’s Museum membership). Our timing couldn’t be better for our visit to Detroit, though. 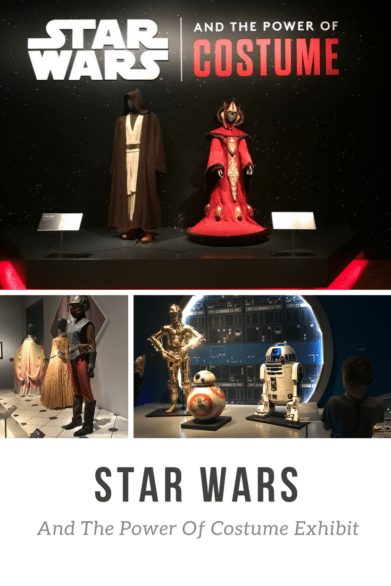 Detroit Institute of Art has the exhibit “Star Wars™ and the Power of Costume” from May 20 through Sept. 30, 2018. I’m pretty sure my son won’t forgive me if we skip this. 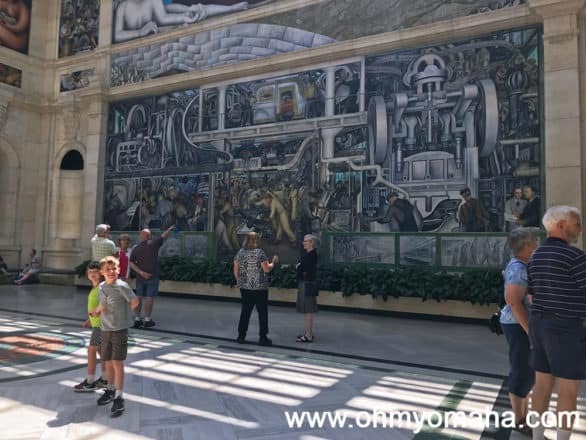 While we’re at DIA, I’d love to catch a glimpse of the famous Diego Rivera Detroit Industry Murals. 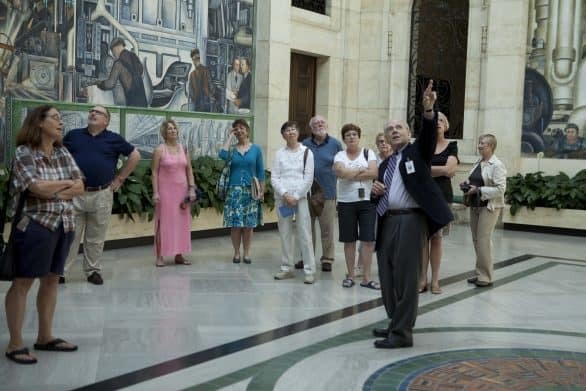 Other unique-to-Detroit museums include Dabl’s African Bead Museum and Arab American National Museum, which has an interesting performance series on select Fridays called Global Fridays. The series features a variety of traditional performing arts from Latin pop to DJs from Beirut. Ride the carousel – While I’m a sucker for science centers, the my youngest cannot resist the allure of a carousel. There’s one at Rivard Plaza with a river theme; not surprising, since it’s on the riverfront. Also along the riverfront, you’ll find a splash garden and butterfly gardens at Gabriel Richard Park.